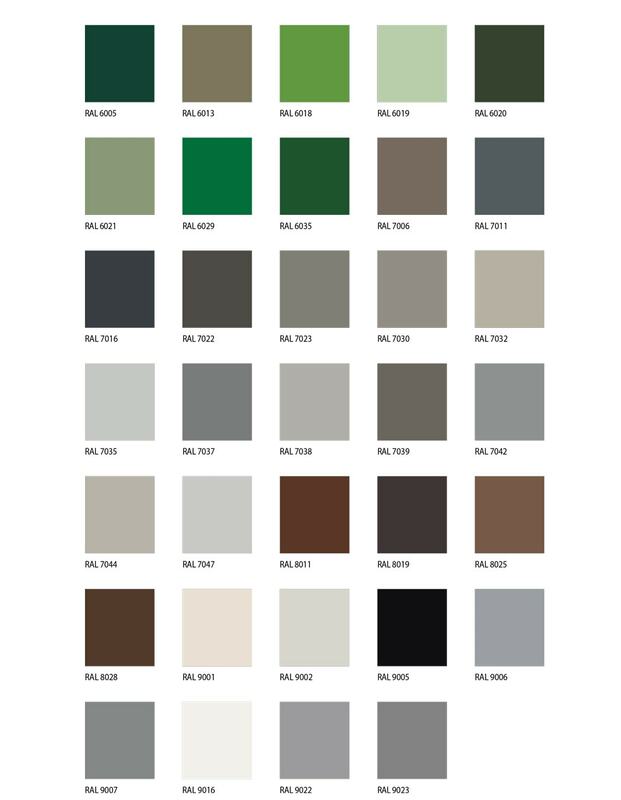 The colour of every Hotech radiator can be personalized free of charge; the cure oven coating process is always available, prompt delivery, covering the whole range of the Ral colour chart. 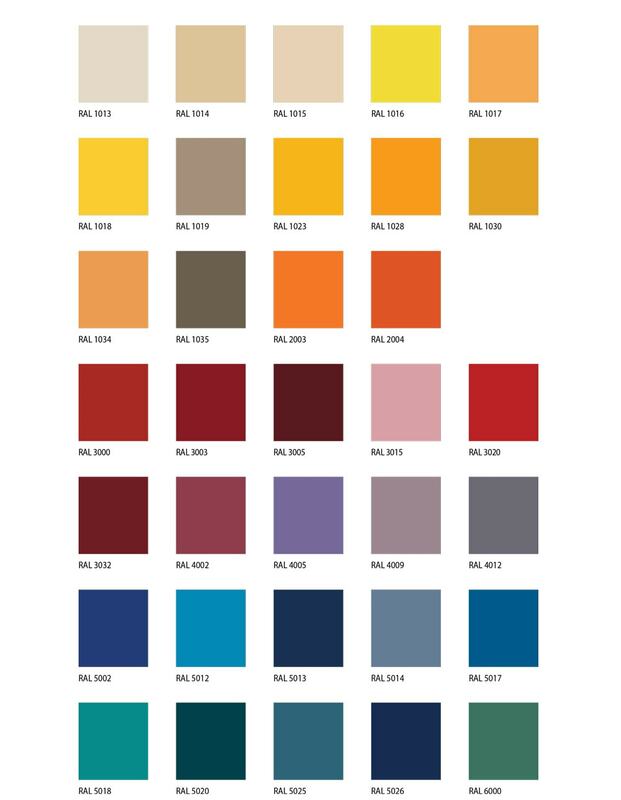 And if all this were not enough, all the Pantone colours can be made too upon request. What’s more Hotech Colour Lab can reproduce any colour nuance from a physical sample that is delivered or sent. Gilding with gold leaf is an ancient ornamental decoration technique that has been widely used in the past to embellish objects and works of art, coating them with a thin gold layer. Pharaoh masks, the halos of Saints, as well as the railings of the palace of Versailles and the domes of temples; history teaches us that the gold leaf has always been used to define power, the sacred and luxury, with as much splendour as possible: something that only gold reflections can transmit. Hotech have recovered and revisited with a contemporary approach this precious superficial finish, which – to this day – requires the skilful craftsmanship of a specialised artisan; in order to confer golden light on their best pieces. 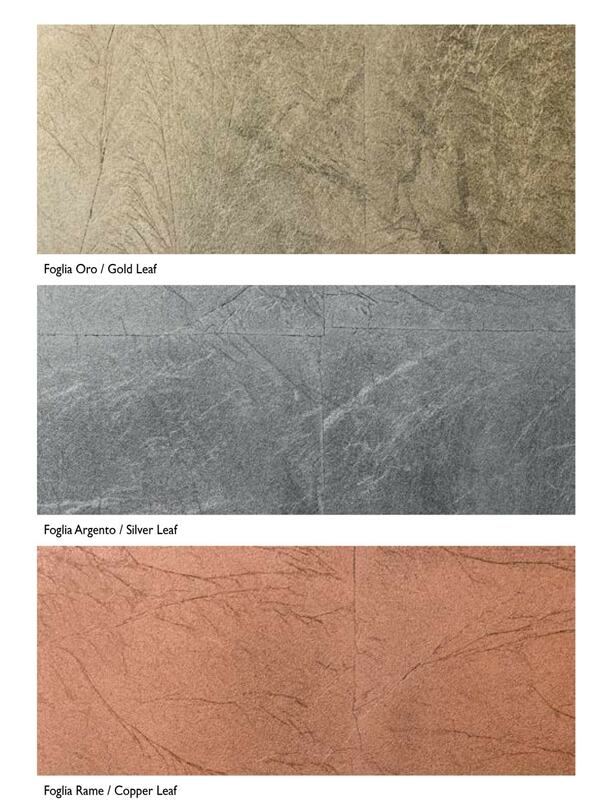 The leaf is presented as the absolutely most prestigious finish; an ancient tradition dating back to millenniums ago, which Hotech faithfully continue handing down, but which could also be improved. 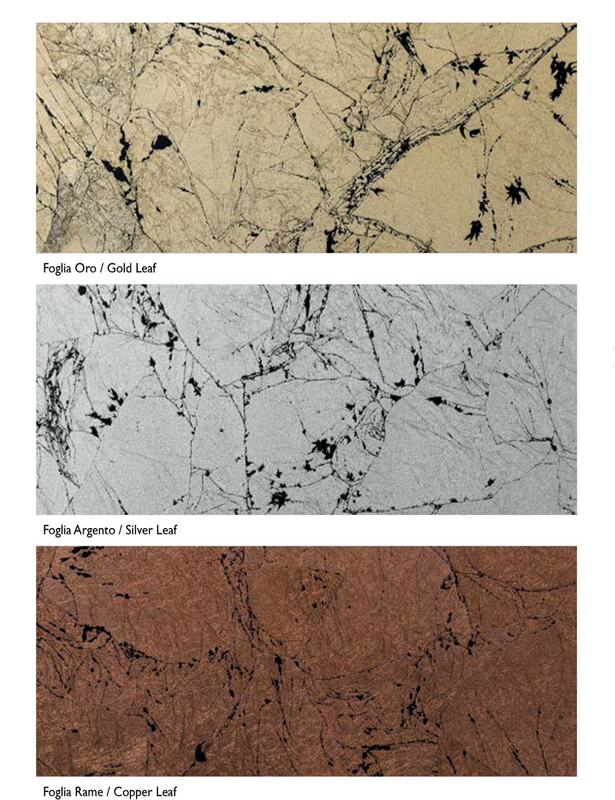 In fact, after years of research and experimentation, Hotech have synthesised in the laboratory a special resin that enables to fix the gold leaf and to stabilise it over time, even when it is subjected to strong, long-lasting rises and falls in temperature and to thermal stress; in addition, it also guarantees significant resistance to abrasion and to solvents. The same care and attention are also devoted to alternative coatings made of silver leaf and copper leaf, which can be perfectly used in modern style contexts, in which the matchless artisan and artistic quality of the coating is still highly appreciated. A radiator with leaf finish represents the ultimate expression of ‘luxury design’; a piece of furniture destined to maintain and increase its value over time; a status symbol that raises the level of any room and architecture. SATIN FINISH – The delicate charm of satinized aluminum is an evergreen in designer products. The surface of the plate is polished to create a slightly opaque finish that is especially resistant to fingerprints and scratches that are unintentionally left on the radiator as a result of frequent use. 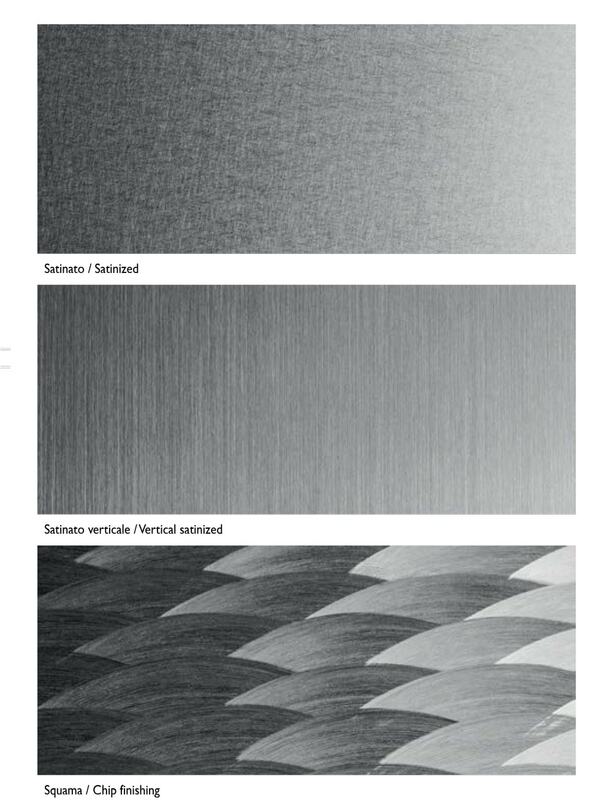 VERTICAL SATIN FINISH – Vertically satinized aluminum is one of the surface finishes that best highlights the characteristics of the metal and that can be especially used in architecture and design. 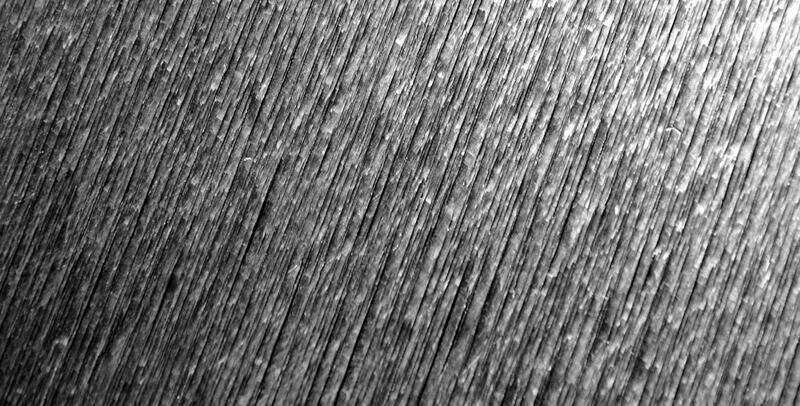 The plate undergoes an accurate and systematic brushing process so that the surface becomes uniform and without any defects, and a highly bright and elegant texture is obtained. SCALES – The ‘scale’ texture is one of the most modern and original finishes offered by Hotech to personalize your radiator. This artisan process creates a regular and consistent texture that leaves the surface smooth but that is perceived as if there were superimposed, almost holographic-like, 3D shapes. SOFT BRUSHED FINISH – To highlight the manual work and the artisan nature of the products, Hotech offers a rich and heterogeneous surface finish that is at the same time balanced and sober. A skilled craftsman, a metal working expert, is entrusted with this soft brush finish that slightly polish the surface in an irregular manner to change the way light reflects on the plate of the heating body. This finish is the result of an exclusive production process that is different from any other standard one. With this innovative process the texture of the surface makes a personality statement; millions of tiny cuts create charming reflections and at the same time are soft to the touch. The original characteristics of the material are left unchanged; since it is not machined or treated in any way to keep all its properties intact. This particular material is applicable on all HOTECH models. 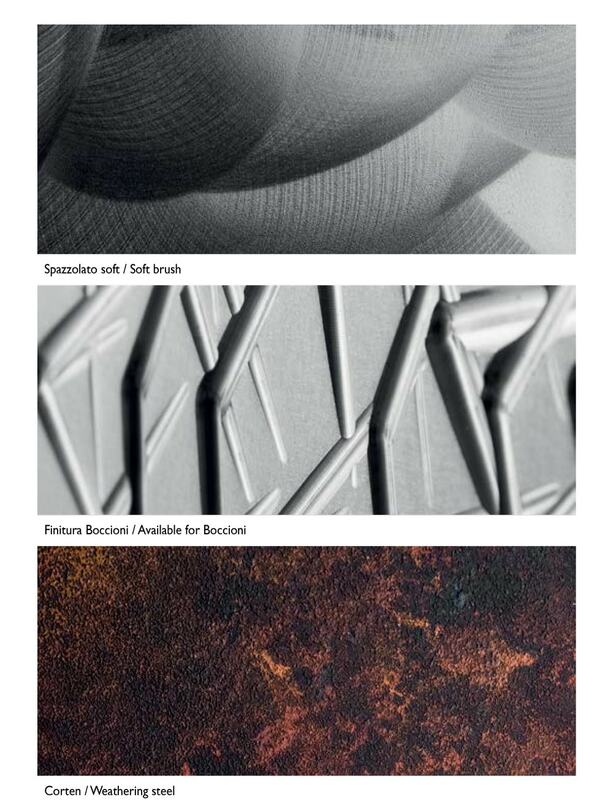 The ‘full custom’ version offered by Hotech thus results in radiators that are actually unique and refined pieces of furniture made with the highest level of expertise and care for details so that customers’ desires and requests are realized without affecting the toughness and high performance that can only be guaranteed by our Made-in-Italy technology.